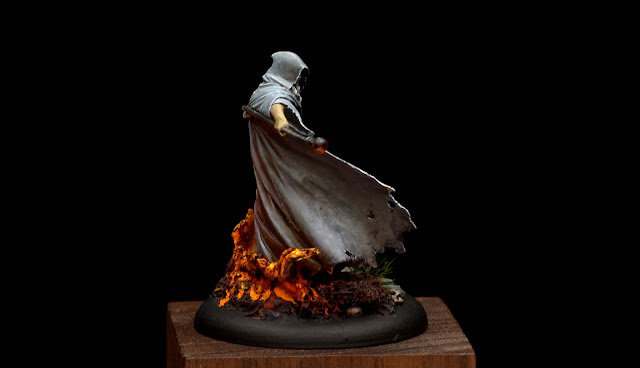 recently I finished another figure, this time by Nocturna Models. 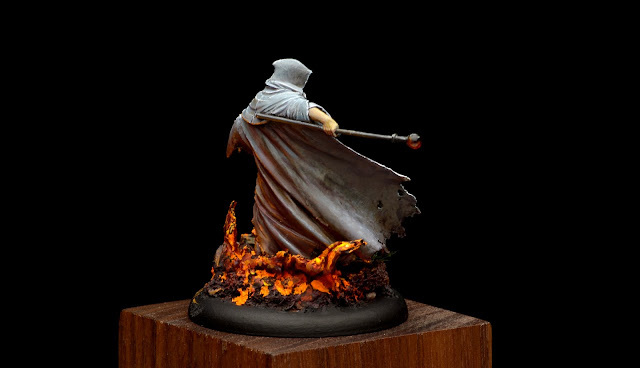 It is the Sorcerer in 30 mm sculpted by Pedro Fernandez Ramos. A really cool sorcerer figure, but also very complex in the complexity of its fabric wrinkles. You would not imagine while looking at it, but as soon as you start painting it, it shows up why it is not the easiest figure to paint. I did this one on comission for oen of the biggest Dungeon & Dragons players I know. 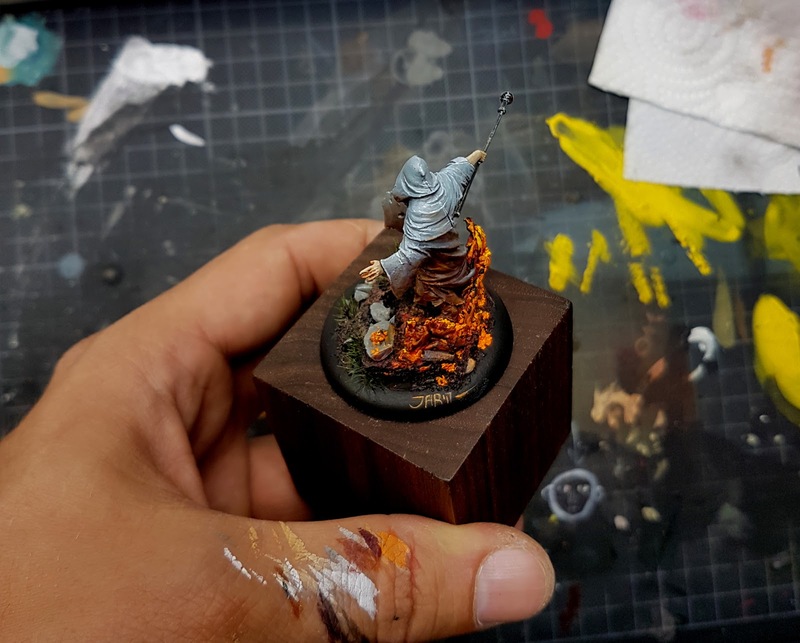 If you want to see his amazing place to play check this link. 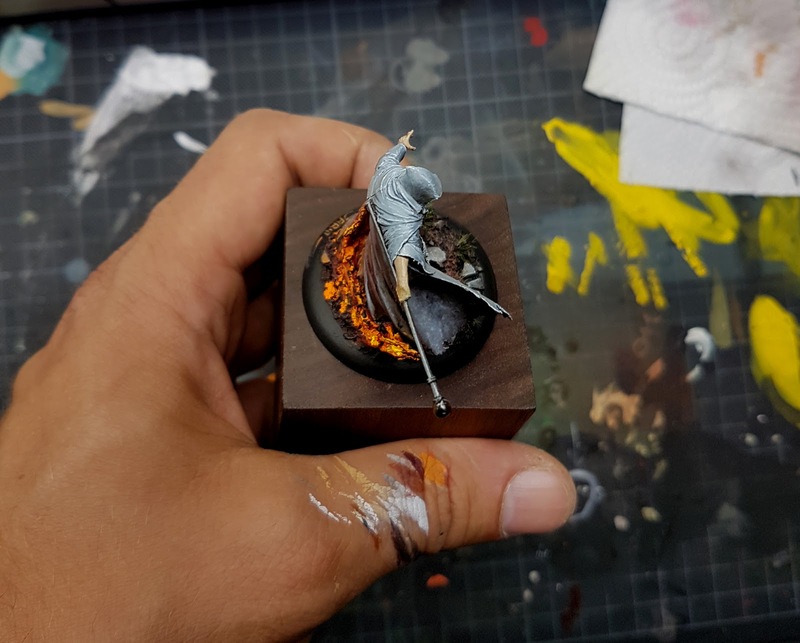 Doing this on comission I had to stick to the typical basework of my client, but I created an active fire spell effect to the base that underlines the pose and dynamics of the sculpt. 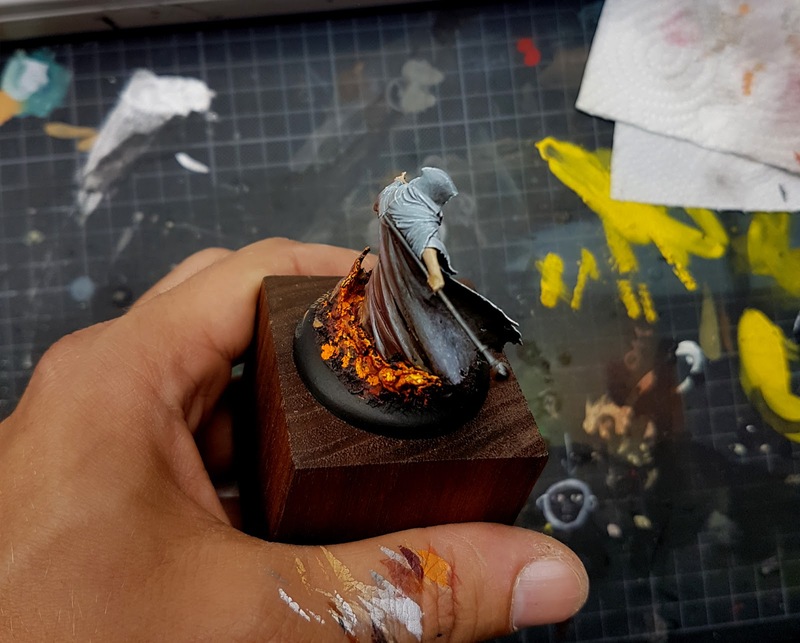 I love to create active magic effects. 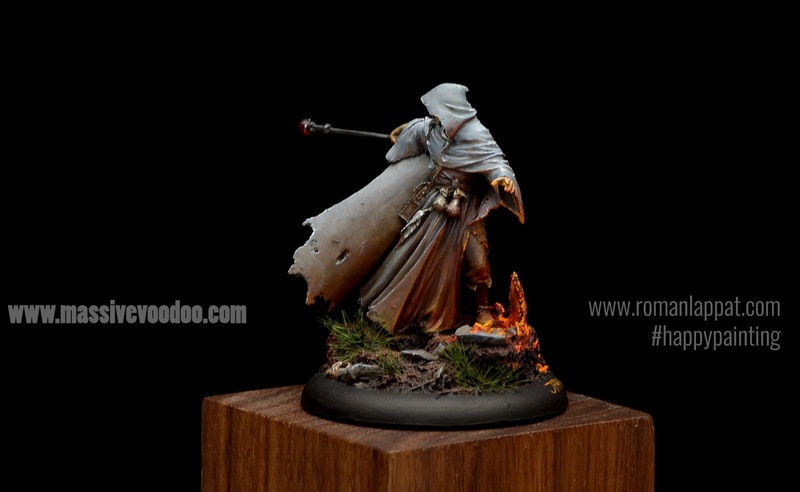 To see more photos of the model visit romanlappat.com.I hope you enjoy like this guy like I did while painting him!